20mm Flowmeter with two adjustable switching points, 25-250 lph. Plain union PVC ends, high quality tough polycarbonate tube, graded in lph. Approximately 10 day delivery time. 20mm Flowmeter with two adjustable switching points, 100-1000 lph. Plain union PVC ends, high quality tough polycarbonate tube, graded in lph. 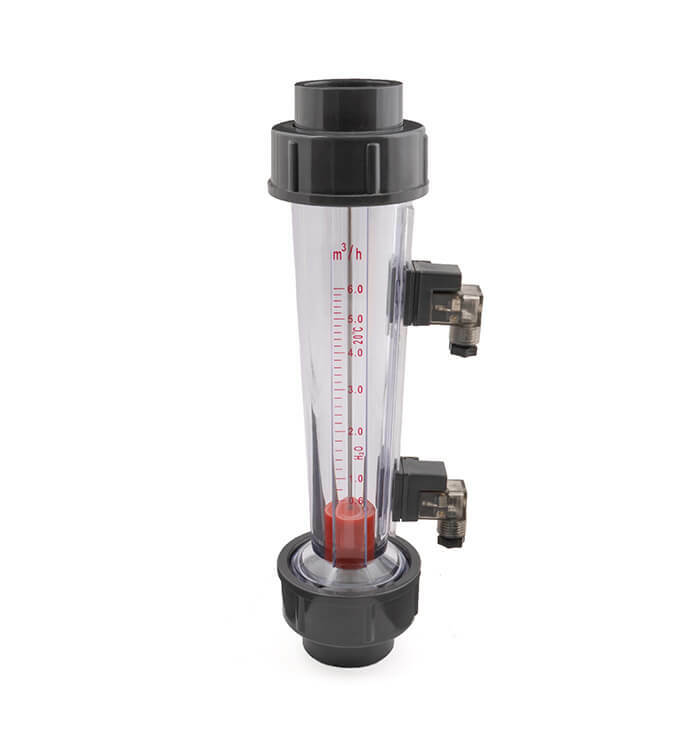 32mm Flowmeter with two adjustable switching points, 250-2500 lph. Plain union PVC ends, high quality tough polycarbonate tube, graded in lph. 40mm Flowmeter with two adjustable switching points, 0.6-6 m3/h. Plain union PVC ends, high quality tough polycarbonate tube, graded in m3/h. 63mm Flowmeter with two adjustable switching points, 1.6-16 m3/h. Plain union PVC ends, high quality tough polycarbonate tube, graded in m3/h. 75mm Flowmeter with two adjustable switching points, 8-40 m3/h. Plain union PVC ends, high quality tough polycarbonate tube, graded in m3/h. 75mm Flowmeter with two adjustable switching points, 12-60 m3/h. Plain union PVC ends, high quality tough polycarbonate tube, graded in m3/h.